The haunting and terrifying creature from the cult Guillermo Del Tauro Fairy Tale is here! Careful the Hourglass doesn't run out, and DON'T eat or drink during your stay! Packaged in a window display box, this Pale Man Pop! Vinyl Figure measures approximately 3 3/4-inches tall. Item arrived on time in perfect condition. 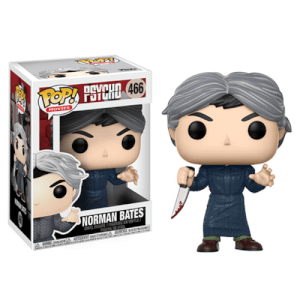 Brilliantly detailed pop. Very happy. Honestly this is one of my favourites in my collection. The details are great, down to the eye on his hand, which almost looks hand painted. Love Love Love it!